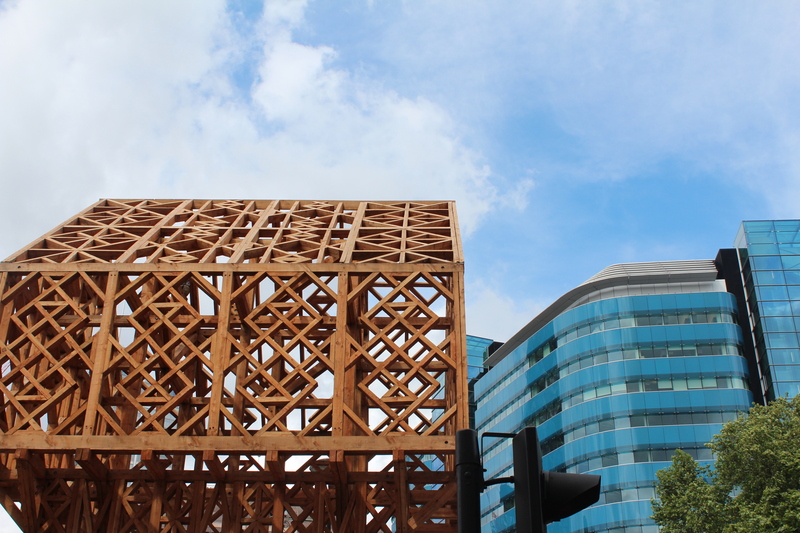 Next time you find yourself in the vicinity of Aldgate tube station take a moment to investigate this intricate wooden structure floating above the streets. 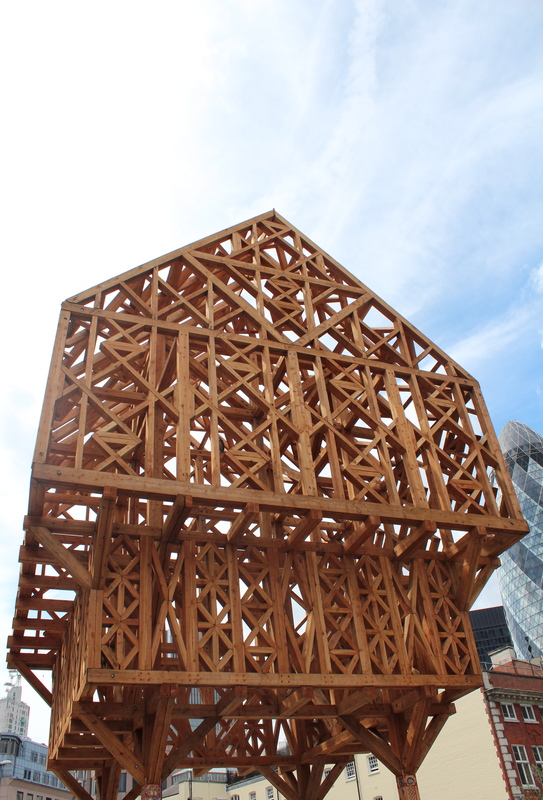 This marks the location of the City wall’s easternmost gate – Aldgate. The original gate once included a small house above it, which was home to the poet Geoffrey Chaucer from 1374 to 1386. 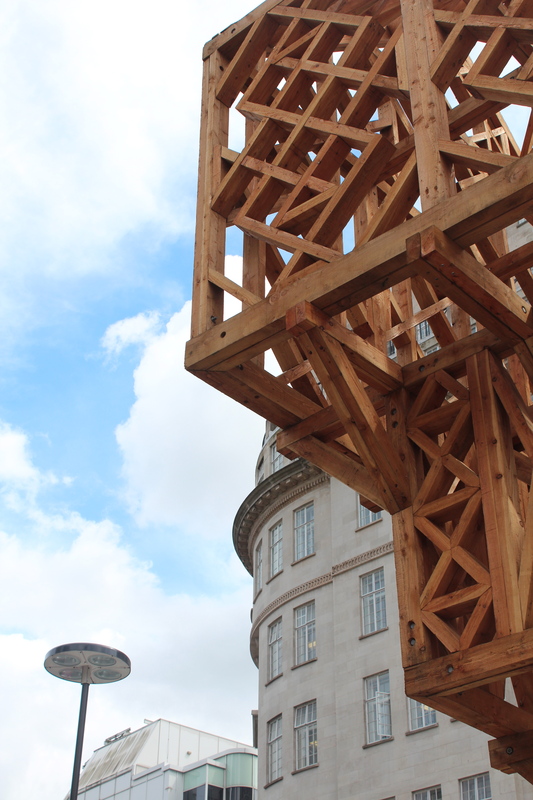 This new structure – named Paleys upon Pilers (meaning ‘palace on pillars’) was designed by architects Studio Weave. They also took inspiration from Chaucer’s two dream poems, featuring elevated temples, which he wrote while living above the old gate. 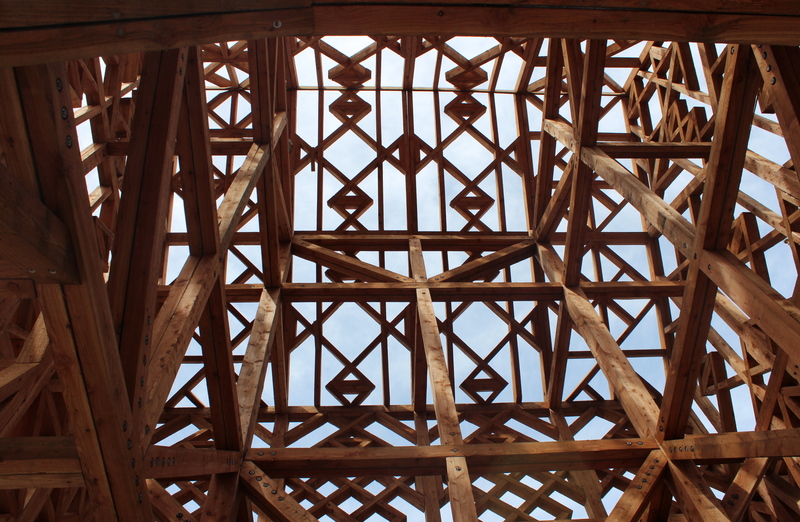 The timber – which references the wood used in the old houses of the area – is described by the designers as a kind of ‘timber embroidery’ and it is indeed beautifully intricate. The painted pillars supporting the structure were inspired by designs found in the illuminated manuscripts, and have been gilded with Dutch gold leaf. 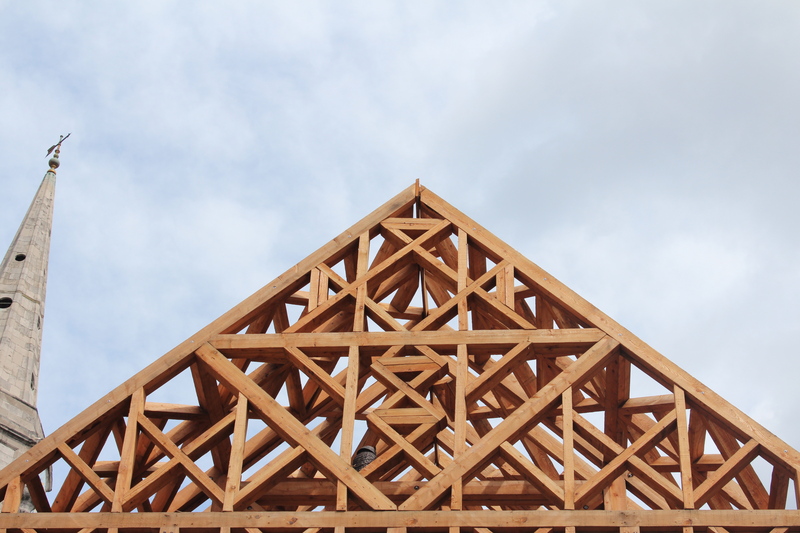 Don’t miss the wooden owl – nicknamed Geoffrey – who perches silently in the eaves. 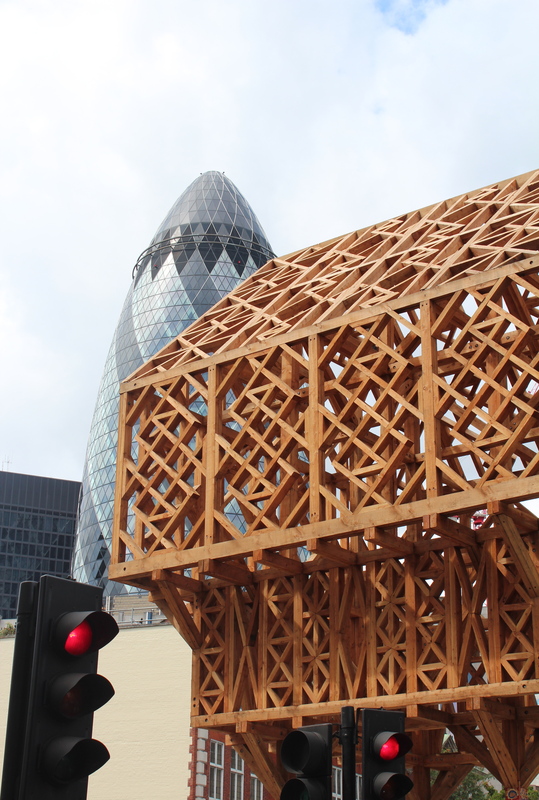 Part architectural installation, part historical reference, Paleys upon Pilers is a welcome addition to London’s architecture, and creates fascinating juxtapositions with the various buildings surrounding it. 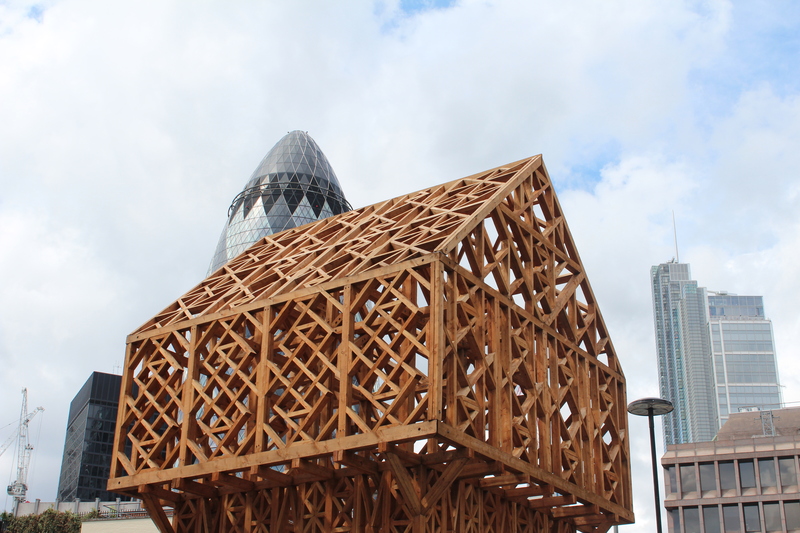 The good news is that although it formed part of the London Festival of Architecture 2012, it is now expected to stay much longer than the three month period originally intended. It can be found very close to Aldgate station, near St Botolph’s church.